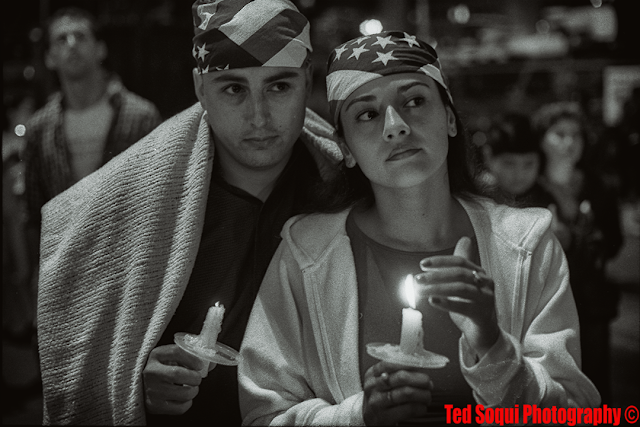 LA Photo: 15 Years Ago In L.A.
Today marks the 15th anniversary of the terror attacks on the US back in 9/11/2001. Here are some images from Los Angeles on that day. 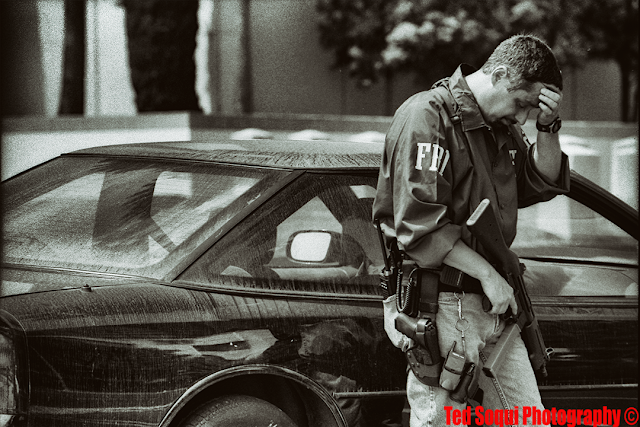 An FBI agent outside the Federal Building in Westwood. 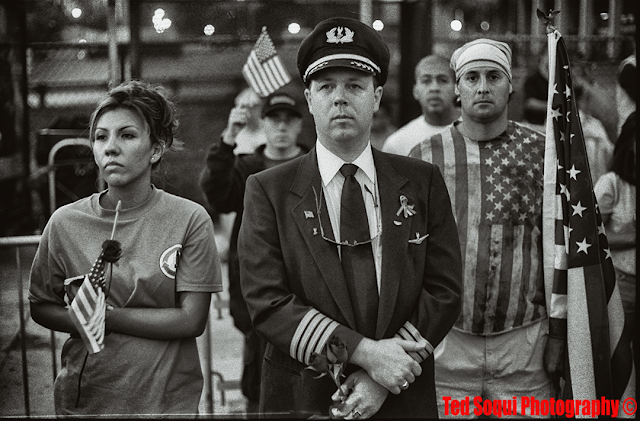 An American Airlines pilot in downtown LA. 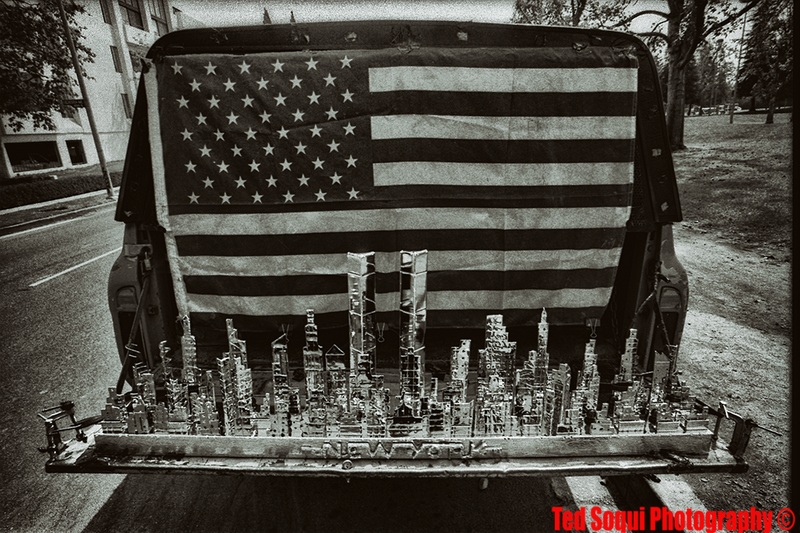 New York City Skyline sculpture in Westwood. 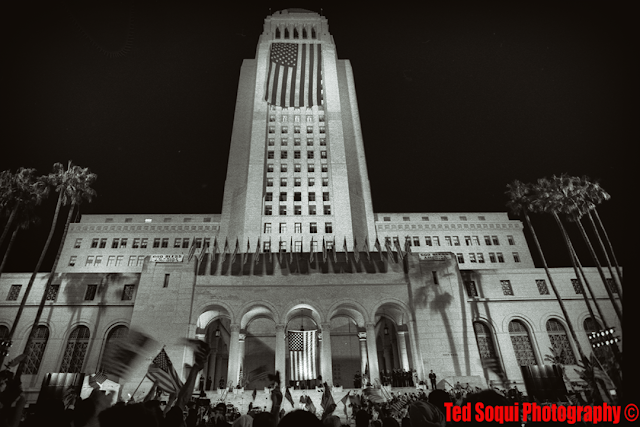 A couple at LA City Hall. Candle light vigil at LA City Hall.